Repositioning Squareweave to create ambitious, purposeful digital products that amplify human potential. 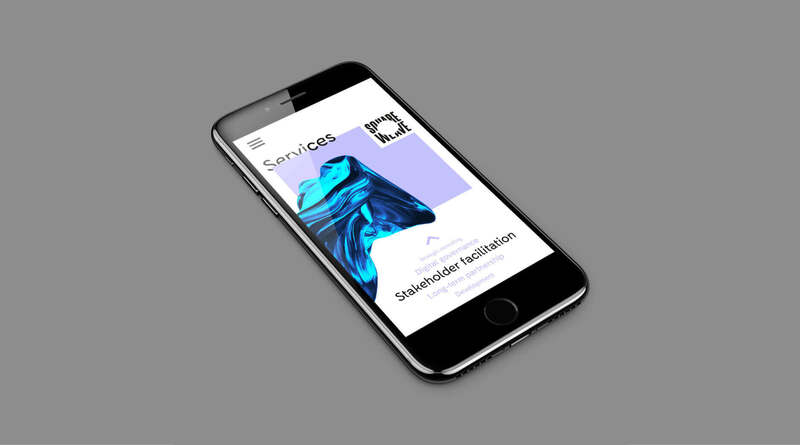 Squareweave is a strategic design and web development agency that creates ambitious, purposeful digital products that amplify human potential. From research and strategy to co-design and build, their work is at the forefront of technology and social innovation. Squareweave had built a solid reputation as a digital agency, but they were struggling to stand out in a highly cluttered market. However, with most digital agencies focused on what they deliver, we felt there was a real opportunity to talk about why they do it. Squareweave, was operating at another level to other digital agencies, but their brand was not communicating their differentiation. We needed to articulate and bring to life their genuine passion to make a meaningful difference to the lives of their clients, their customers, and the planet. 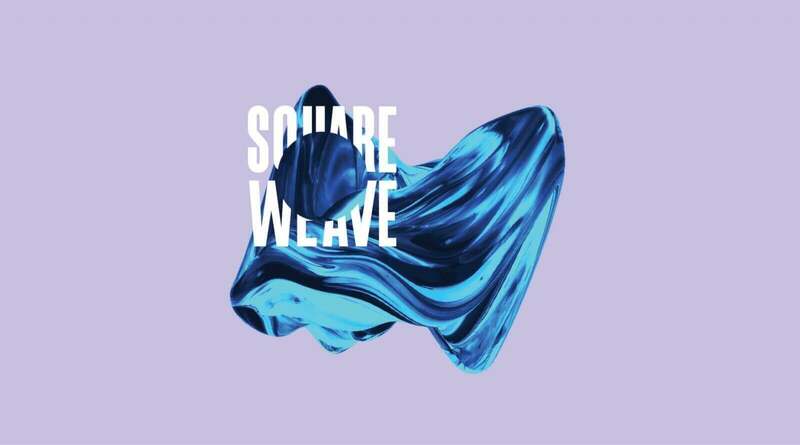 Our market review identified a very cluttered market but also key opportunities for Squareweave to standout from the pack and sharpen their offer. 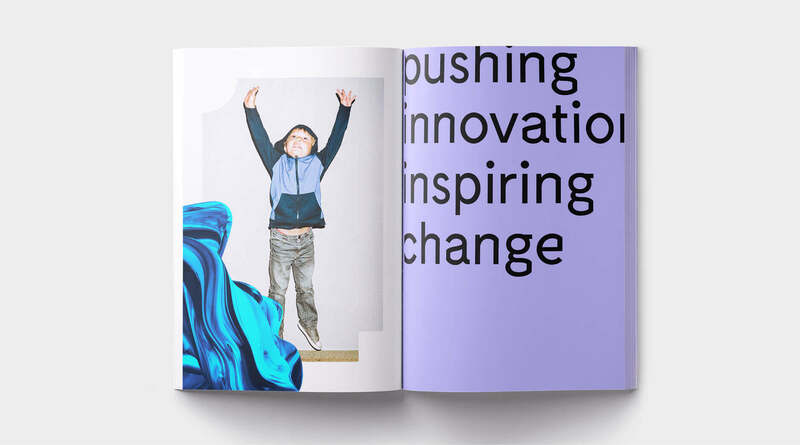 Working together with the Squareweave team, we their unlocked their compelling truth and created a new internal mantra of ‘purposeful solutions amplify potential’. This was then supported by a powerful belief system and new values that reignited and aligned the team on not just what they do, but how and why they do it. 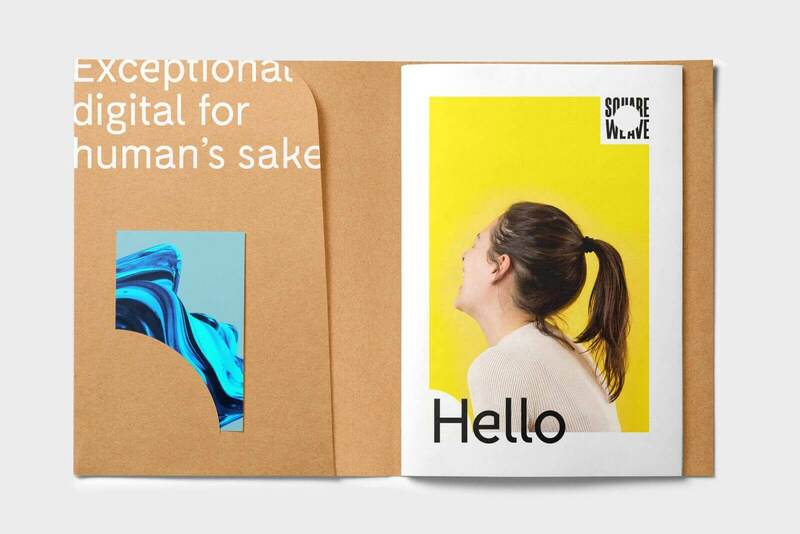 The external elements of the brand proposition included new messaging, positioning statement, brand story, personality and the new tagline of ‘exceptional digital for human’s sake’. Like the progressive leaders they partner with, Squareweave is driven by a shared passion to achieve exceptional outcomes and drive positive social impact. The new brand strategy provides a meaningful platform to inspire their team, engage their clients and focus to drive business growth. 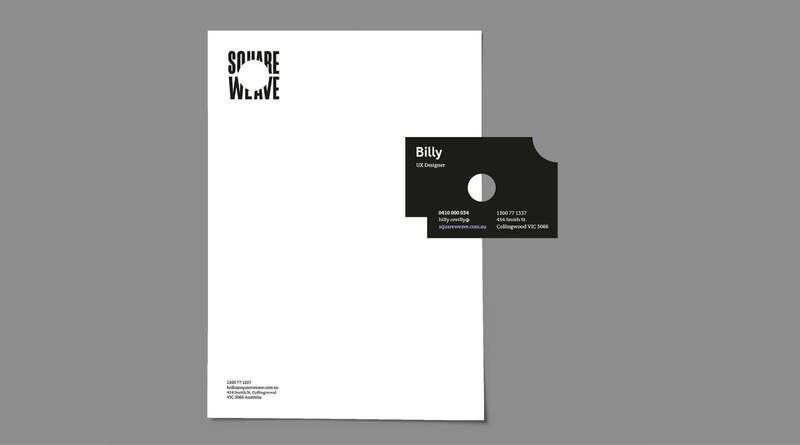 Inspired by the idiom ‘squaring the circle’ which means to do the impossible, the brand identity celebrates Squareweave’s innovative nature and focus on putting clients first in everything they do. The circle cut out of the brandmark is visually eye-catching and creates a space to put people at the centre. The look and feel of the brandmark varies as imagery underneath it changes, suggesting Squareweave’s flexibility and ability to adapt to and change with different clients. 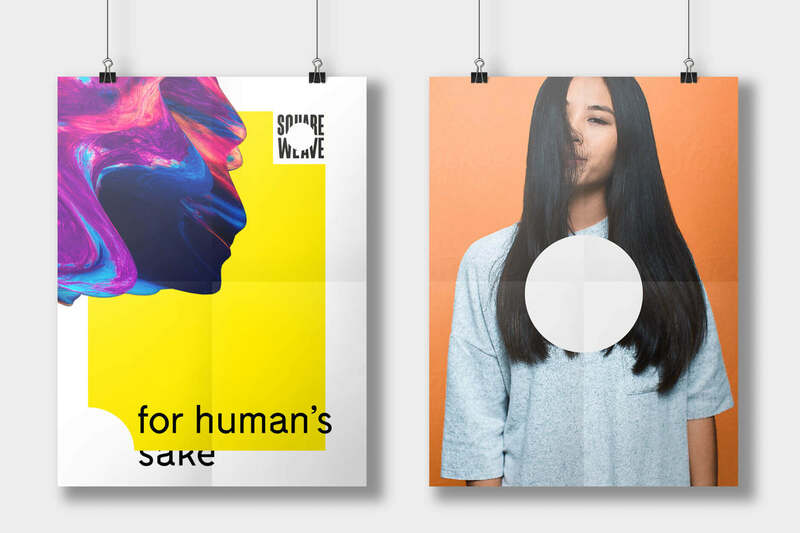 The identity becomes a platform and a frame for a modern but warm visual language centred around humans. An unexpected contemporary typeface weaves and overlaps bold geometric shapes and is accompanied by striking artistic imagery and confidently human centred tone of voice to bring warmth and meaning to signify the difference it makes to people’s lives, not just the amazing digital products they deliver.